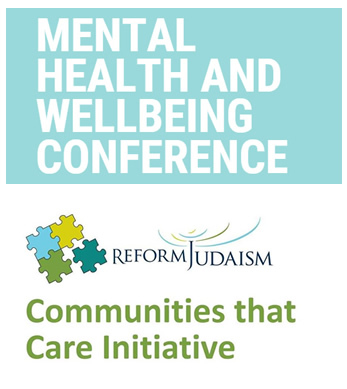 Reform Judaism’s Communities that Care Initiative invites you to our Mental Health and Wellbeing Conference. Keynote speeches will be delivered by acclaimed Mental Health campaigners Jonny Benjamin, MBE, and Natasha Devon, MBE, Louis Weinstock, Psychotherapist, as well as Mark Harris, Outreach Manager, Central London Samaritans. There will be a choice of interactive and experiential workshops, which you will be asked to select when you book your place. Information about the workshops can be found here. This conference is for all our community partners – care teams, educators, youth workers, madrichim, council members and rabbis. We also welcome participants from outside Reform communities. Travel subsidies will be available for Reform members travelling from outside the M25. Thank you to West London Synagogue for hosting this event.